“Our Client is First” and “360° of Concierge Real Estate Services” policies ensure laser focus on client’s goals with honesty, integrity, clear thinking and solid solutions to achieve superior results. Rita spearheaded the Clear Homes Team achieving a proven track record as a Real Estate Top Producer and Team Trainer, with millions of dollars in closed transactions for US and International buyers and sellers. She is well-versed in: residential, luxury properties, waterfront properties, seniors down-sizing, multi-unit sales, short sales, foreclosures/REO and commercial. With fluency in Spanish and Portuguese and a good understanding of French, and her background of living, working and travelling internationally, Rita is an asset when representing buyers, sellers and investors in multicultural South Florida – facilitating communications and negotiations between all parties in every transaction. Rita Meagher and the Clear Homes Team have the in-house capability and strategic alliances with top industry suppliers to manage every aspect of your real estate transactions including residential, luxury, commercial, investment, property management and more. Market knowledge, marketing and social media savvy, effective negotiation skills and a network of high-quality professionals in the US and globally, provide best practices for a wide array of services and transactions. 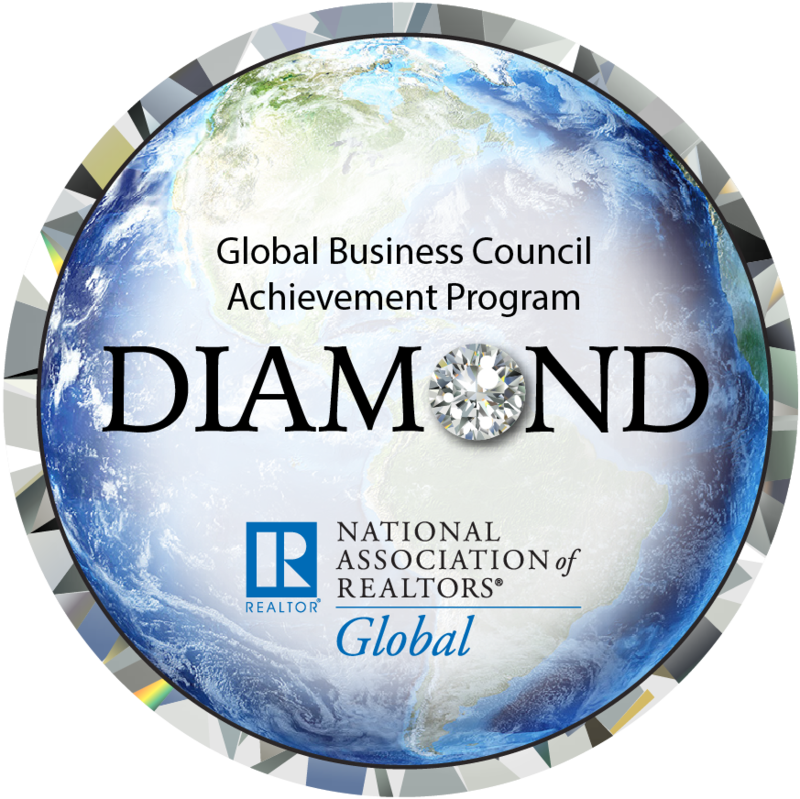 The GLOBAL experience, trusted contacts, attorneys specializing in visas, Certified Public Accountants and various affiliations ensures that clients will receive comprehensive professional services in real estate – evidenced by many clients from Central & South America, the Caribbean, Europe, Middle East and Africa. Since 2012 Rita has been a consistent Top Producer with Charles Rutenberg Realty. Previously she was 5 years with Keller Williams Professionals Ft Lauderdale where, as a Top Producer, she was honored to be on the Agent Leadership Council, and her prior 3 years were with Re/Max Alliance. Rita’s international background provides her with a solid understanding and appreciation for other customs and cultures. She was born in Lagos, Nigeria and moved to Luanda, Angola where she was raised until moving to Santo Domingo, Dominican Republic, then on to San Salvador, El Salvador, then New York City, finishing high school in Lisbon, Portugal. After Emory University in Atlanta, Georgia, Rita moved back to Lisbon for several years and then to Madrid, Spain for 13 years before moving to Southeast Florida in 1988. In addition to living in 7 countries, Rita’s travels have taken her to Namibia, South Africa, Cape Verde Islands, the Azores, Canada, England, Scotland, Wales, Northern Ireland, Ireland, France, Germany, Switzerland, Sweden, Denmark, Finland, Poland, Gibraltar, Italy, Slovenia, Croatia, Bosnia and Herzegovina, Serbia, Kosovo, Macedonia, Greece, Turkey, Syria, Jordan, Egypt, Nicaragua, Peru, Venezuela, Mexico and the Bahamas. Rita once drove a Renault-4 car, accompanied by a friend on a motorcycle, across the Sahara Desert from Madrid through Morocco, Algeria, Niger, Benin to Togo where they left the car and motorcycle in Lomé. Continuing her travels by bus & train through Nigeria from Lagos to Maiduguri, crossing into northern Cameroun to the amazing Waza National Park, then south to Yaoundé and Douala to catch a ferry to southern Nigeria. After getting the car & motorcycle in Lomé, they headed home through Burkina Faso, Mali, Algeria, Morocco to Madrid, Spain. Rita has lived and/or visited 51 countries. Rita worked for Hughes Aircraft Systems International (HASI) in Madrid, assisting in project management and interfacing with the top Spanish Air Force team and the US Air Force contract administration team for Combat Grande. HASI was responsible for the successful installation of the air defense system in Spain, a pre-requisite to Spain’s acceptance into NATO. Rita then started her own business in Madrid as a clothing fashion designer. Her successful design business expanded to retailing and wholesaling clothing and owning two boutiques, including Bidon V in the historical area in Madrid (across from the Prado Museum). After moving to South Florida in 1988, Rita expanded her career to the telecommunications industry, working her way up from Sales Manager to General Manager of three telecom start-ups (ITC, Tele World, IDTS) then on to New Millennium, Fusion, NIS, and eventually to Siemens International’s Network Solutions Group as Senior Project Manager, Business Development Specialist, in Boca Raton, Florida. Rita has been integral in projects presenting network solutions to the Puerto Rican Telephone Company, Mexico Cable Network Consortium, Peru Telephone Company, to name just a few. Specialties: : Residential, Luxury & Waterfront Properties, Seniors down-sizing, Multi-units, Short Sales, Foreclosures/REO, Property Management, Commercial Real Estate. Jessica Wittenbrink January 23, 2019 Residential Sales, Luxury Homes, Country Club Living, Distressed Properties, Equestrian Properties, Relocation, Property Management, Waterfront, International, First-time Home buyers, Commercial, Seasonal Rental, Timeshare, Investment Property., Boca Raton, Boynton Beach, Coral Gables, Deerfield Beach, Delray Beach, Fort Lauderdale, Fort Pierce, Hallandale Beach, Highland Beach, Hillsboro Beach, Hutchinson Island, Hypoluxo, Jensen Beach, Jupiter, Lake Worth, Lantana, Lighthouse Point, Loxahatchee, Loxahatchee Groves, Manalapan, Miami Beach, Ocean Ridge, Palm City, Palm Beach Island, Palm Beach Gardens, Pinecrest, Port St Lucie, Royal Palm Beach, Singer Island, Stuart, Sunny Isles Beach, Wellington, West Palm Beach, Vero Beach. Jessica Wittenbrink January 7, 2019 Residential Sales, Luxury Homes, Country Club Living, Distressed Properties, Equestrian Properties, Relocation, Property Management, Waterfront, International, First-time Home buyers, Commercial, Seasonal Rental, Timeshare, Investment Property., Boca Raton, Boynton Beach, Coral Gables, Deerfield Beach, Delray Beach, Fort Lauderdale, Fort Pierce, Hallandale Beach, Highland Beach, Hillsboro Beach, Hutchinson Island, Hypoluxo, Jensen Beach, Jupiter, Lake Worth, Lantana, Lighthouse Point, Loxahatchee, Loxahatchee Groves, Manalapan, Miami Beach, Ocean Ridge, Palm City, Palm Beach Island, Palm Beach Gardens, Pinecrest, Port St Lucie, Royal Palm Beach, Singer Island, Stuart, Sunny Isles Beach, Wellington, West Palm Beach, Vero Beach.